Beams Plus expertly reproduce classic Americana styles, utilizing a selection of the world’s finest fabrics and some expert craftsmanship. 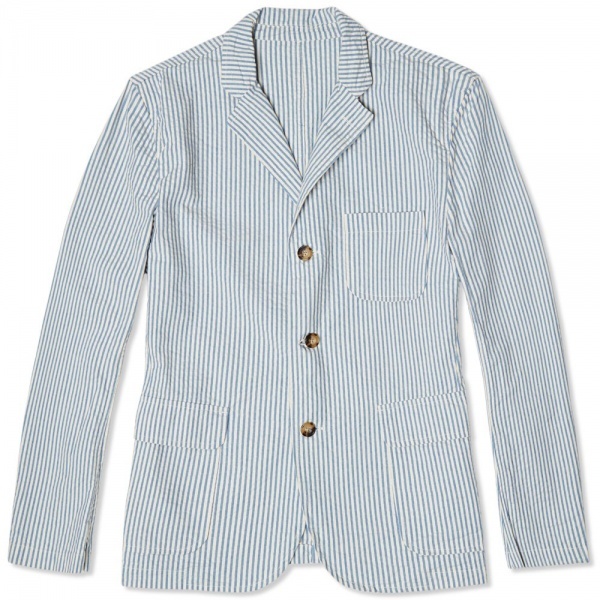 The Seersucker Shirt Jacket is a traditionally blazer based on vintage 1960’s designs and features a selection of authentic. 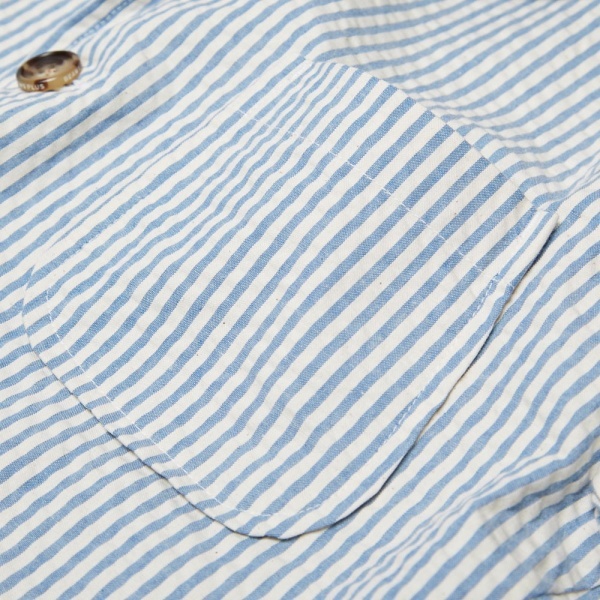 Cut from a classic 100% cotton seersucker fabric in a relaxed silhouette, it has a notched lapel and is closed with horn buttons. Available now at End. 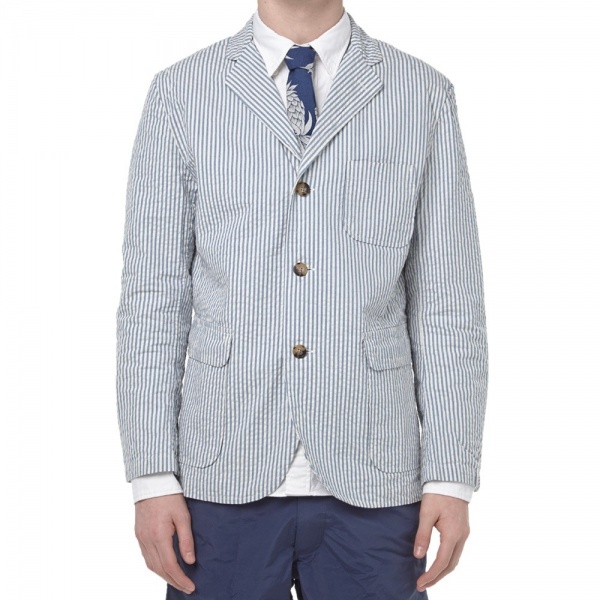 This entry was posted in Sportcoats, Tops and tagged Beams Plus, blazer, Horn Buttons, jacket, Made in Japan, Notched Lapel, Seersucker, Seersucker Shirt Jacket, Shirt. Bookmark the permalink.